What Is Denatured Ethanol and What Is It Used For? Ethanol is pure alcohol and while inadvisable, is drinkable and used in various amounts to make alcoholic drinks. Denatured ethanol has a small % of denaturing agent added to make the ethanol undrinkable. Aside from the denaturing agent, denatured ethanol is exactly the same as normal ethanol. The denaturants are added to ensure that the ethanol cannot be consumed as a spirit. In this regard, denatured ethanol is very similar to methylated spirits. Methylated spirit is ethanol mixed with methanol. It may have small amounts of other chemicals added, as well as a distinctive purple dye. Mixing ethanol and methanol gives meths a strong, unpleasant smell. Methanol is very toxic when consumed, when absorbed through the skin, or inhaled in high concentrations. Because it can't be consumed, no duty applies in the UK meaning it can be acquired quite cheaply. This entry was posted in Demonstrations on April 10, 2014 by Michael Parker. As ethanol is flammable, care should be taken with storing and using the fuel. As with all flammable liquids, EkoFuel bioethanol should be stored in a cool dry place out of direct sunlight. If you wish to take advantage of the savings available on larger quantities of fuel and have several boxes of fuel, you may wish to store the bulk of the fuel in a cool garage or shed and keep a small quantity of fuel, ready to use in the house. If the fuel is stored in a cool place, we recommend allowing the ethanol to come to room temperature before use. This is because, when the temperature of ethanol falls below 15⁰C it doesn’t vaporise well, which means it becomes difficult to light. This is the case for ALL bioethanol fuels. An easy solution to this is to keep a bottle or two inside the house at room temperature, ready to use when you need it. If storing ethanol in a workplace, please refer to the HSE regulations regarding the storage of flammable liquid and make sure you comply with these regulations. If sealed, ethanol can last for years. In warm conditions, some ethanol may evaporate if left uncovered so bottles of ethanol fuel should always kept sealed when not in use. This entry was posted in Safety on April 10, 2014 by Amy Chantry. EkoFuel bio ethanol fuel for alcohol camping stoves is a premium quality denatured alcohol. it can be used in alcohol and spirit burning camping stoves such as the Esbit and Trangia stoves. Prices correct as of 28/02/2014. 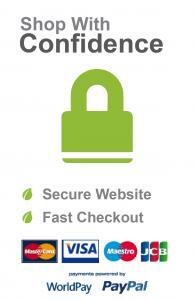 This is just a selection of camping fuels available online. 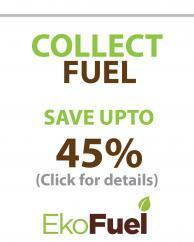 As shown, EkoFuel bio ethanol is competitively priced. Unlike most retailers, the more you buy, the lower the price. For example a 6L box of "bio ethanol camping fuelis only £21.00 for 6L (6 x 1L bottles) £3.50 per Litre (including next-day delivery). Both the 500ml and 1 litre bottles of ethanol have a small nozzle in the bottle neck to give users control when dispensing fuel and filling alcohol cooking stoves. These bottles are ideal for customers wishing to take small quantities of fuel away camping and hiking. Whether you wish to purchase 1L of EkoFuel bio ethanol to try it in your spirit camping stove or want to stock up for cooking on your next camping trip, with our money back and price match guarantees, EkoFuel camping stove fuel is great value for money. This entry was posted in Comparisons on February 20, 2014 by Amy Chantry. What Is The Difference Between Liquid and Gel Bio Ethanol Fuel? As a bioethanol retailer, a common question we are asked is the difference between bio-ethanol gel and liquid fuel, and if these fuels can be used interchangeably in liquid and gel bio ethanol fires. Liquid bioethanol fuel: Bio ethanol liquid is a thin, clear fluid made of 97+% pure ethanol. Liquid ethanol burns with a strong, clean blue and yellow flame and does not produce any soot or ash. Uses: Liquid bio ethanol can be used in bioethanol fires and burners, as well as alcohol camping stoves and spirit burners such as Trangia and Origo. Bio Ethanol Gel: Ethanol gels are much thicker than the bio-ethanol liquid fuel.Generally, gel does not burn as powerfully as the liquid and has smaller flames. Unlike liquid fuel, gels can leave some residue behind when burnt. Uses: Bio ethanol gel is used as a fuel for gel fires and gel camping stoves. It can also be used as a BBQ fire lighting gel and is popular as a restaurant chafing fuel for warming food during service. Can ethanol liquid and gel be used in both liquid and gel bio ethanol fires? We wouldn't recommend using bio ethanol liquid or gel in burners meant for another type of fuel. The flames from liquid bio-ethanol are more powerful than from gel fuel and so using liquid in a gel burner can be unsafe. Depending on the design of your burner, using the wrong fuel may also cause problems with your fire. For example, gel fuel will not burn correctly if used in a burner with a ceramic core meant to hold bio ethanol liquid. Always check in the manufacturer’s manual supplied with your burner as to whether your fire requires gel or liquid bio-ethanol fuel. Choosing a Bio Ethanol Liquid Fuel. The ethanol content of liquid fuel and the different denaturants added to prevent consumption can affect how cleanly some bioethanol liquid fuels burn. Bio ethanol fire manufactures recommend using a high quality fuel with a minimum of 96% ethanol. EkoFuel bio ethanol is 97+% pure ethanol with approx 1% denaturants. This high purity fuel is clean burning and odourless. Produced from sustainable sources, this eco-friendly fuel has a low carbon footprint. Unlike other bio ethanols, our fuel has been rectified to remove a lot of the other alcohols normally present in the ethanol. This results in a cleaner burning and smelling fuel, perfect for indoor and outdoor bioethanol fires and alcohol burners. Bio Ethanol: Which container size should I buy? With winter approaching and the temperature dropping, our thoughts turn to heating. It’s this time of year when we get calls asking questions about bioethanol fires and bioethanol fuel for fires, including “Which size container should I buy?” Here at Ekofuel we offer 2 sizes of container. A 1L container (for the bioethanol for fires, marine stoves and camping burners) and a 0.5L container for the camping fuel. EkoFuel bioethanol for camping stoves is also available in a smaller 0.5 litre bottle. These bottles are ideal for customers who prefer smaller bottles of fuel to take away camping and hiking. As with the 1lt bottles, the 500ml bottles also have a small nozzle in the bottle neck to give users control when dispensing the products and filling alcohol stove. A few words of caution, Bio ethanol liquid fuel is a flammable liquid and as such should be treated with respect. Always ensure that you allow your bioethanol fire to cool before refilling. Never refill a hot bio-ethanol burner and always clean up any spilled bioethanol liquid before relighting. Follow the instructions laid out in the manufacturers manual and you too can enjoy the magic of a bioethanol fire this winter. This entry was posted in Uncategorized on October 16, 2013 by Amy Chantry. Many sites and reviews talk about the low heat output of methylated spirits (meths) compared to alternative liquid fuels and gas cylinder for outdoor cooking systems. We thought we would take a different approach, focusing on the actual cost of each system to boil water. In July 2013, the recipe for methylated spirits (meths) was replaced with a new European formula for denatured alcohol. Here at Ekofuel, we have taken those recipes and created a range of new products including a camping based bioethanol liquid fuel and a bioethanol based gel fuel see www.ekofuel.org. It is true that ethanol including bio ethanol has a lower calorific content that some other camping liquid fuels for example, ethanol has a calorific value of around 29.7 MJ/KG compared to gasoline and kerosene around 47MJ/KG and propane and butane around 50MJ/KG. For this reason a lot of the multi fuel systems are capable of running cleanly on these fluids. As we are told so often, size is not everything. Granted bioethanol is at a disadvantage to start, but there are other benefits including an environmental benefit to burning bioethanol. From the Primus literature it quotes that it takes theoretically approx 7.5g of Butane and propane to boil 1L of water compared to 9g of kerosene and 13.1g of bioethanol. In reality the fuel consumption figures to heat a litre of water depend on the ambient conditions. If we assume that these conditions are static, then the actual amount of fuel used depends on the efficiency of the burner/pot system. For a system to be efficient, the fuel must be burnt cleanly, and the transfer of heat from the burner to the pan and its contents be as efficient as possible. Below we will discuss the relative costs of boiling water on various camping stoves. On a recent test of our EkoFuel bioethanol fuel in a Trangia alcohol burner system we used approx 22 to 23g of bio-ethanol to heat 1litre of water to 100C from 21C. The theoretical amount of bio-ethanol required was ((100C-21C) x 4184J(water/g))/29700J/g(ethanol) =11.13g. From our calculations this equates to an approx efficiency of around 47 to 50% which seems pretty reasonable. It can be seen that although bio-ethanol may be at a disadvantage to start, greater losses are incurred through an inefficient heat transfer process. EkoFuel sell 12 litres of liquid bioethanol fuel for £32 for 12 litres (£2.66/L) including vat and delivery. With approx 790g/litre, it can be seen that the cost of boiling 1 litre of water from 20C to 100C in our recent trials cost around 7.7p/litre based on a 23g consumption. In contrast MSR in their You Tube video http://www.youtube.com/watch?v=5dFFU3x4pXQ report that their super efficient MSR Reactor stove will boil on average 22lts of water from an 8oz canister or 11L from a 4oz canister. In contrast they also quote that their pocket rocket gas stove, will boil on average 16L of water from the same 8oz canister or 8L from a 4oz canister. Looking across the net, a typical price for a 4oz gas canister is around £2.95. Based on the efficient MSR reactor boiling 11L of water from a 4oz canister, the cost of boiling 1 litre of water is approx 26.8p/litre. In our latest online test, we evaluate our EkoFuel BBQ Fire Lighting Bioethanol Gel for boiling water on a Trangia. The results show that it took approx 33g of gel to heat 1 litre of water. With approx 825g of bio-ethanol gel per litre, it can be calculated that each litre of EkoFuel bioethanol gel will boil on average 25 litres of water from 21C. At £32 for 12 litres (£2.66/litre) including vat and delivery, it can be seen that the cost to boil 1 litre of water using Ekofuel gel is around 10.7p/litre using a Trangia. In contrast another brand of bioethanol gel fuel is sold at £5.95 per litre in various outdoor shops. We have tested this bioethanol gel fuel and shown that it has a similar heat output to EkoFuel BBQ and Fire Lighting Gel. Using the same 33g fuel consumption figure from above, the cost to boil 1L of water on a Trangia from 21C would cost 23.9p per litre, a 220% price increase over EkoFuel. This is a difficult one to calculate. With no efficiency figures to hand, I have had to assume a similar efficiency to the figures used for ethanol. Some stoves can be run on proprietary fuels and some on standard unleaded petrol. The price for these fuels range for £1.29/litre for unleaded fuel to £5 to 6/litre for proprietary fuels. The cost to boil a litre of water from 21C can therefore vary between approx 4p and 18.6p per litre depending on the fuel chosen and based on an efficiency of around 50%. Although bioethanol based fuels are of a lower calorific fuel value than many competitor fuels, it can be seen that the cost of boiling water using EkoFuel bio-ethanol based liquid and gel fuels can be very competitive. Coupled with the products being safer than petroleum based fluids, eco friendly and sustainable, bio-ethanol based fuels are certainly worth considering for your next camping trip. If you are attending a festival, you may also find that gas canister based stoves are banned, whilst bio-ethanol liquid and bio-ethanol gel stoves aren’t – more food for thought. This entry was posted in Comparisons and tagged Cheap Bioethanol Fuel, Cost Comparison on October 4, 2013 by Amy Chantry. In addition to our bio-ethanol liquid fuels for use in alcohol camping stoves, our bio-ethanol BBQ fire lighting gel can also be used for camping applications. In order to demonstrate the power and use of EkoFuel bio-ethanol gel, we made a bio-ethanol gel burner for a Trangia, from a couple of coke cans. We this burner can heat up 750ml of water from 20C to 100C using EkoFuel BBQ fire lighting gel in around 7mins 30secs. Mark the first can with 2 rings.The first around 50mm for the bottom edge and the second around 55mm (Step 1). Cut the can along the first ring and then cut the can vertically from the first ring to the second ring, to end up with something similar to that shown in step 2. Cut the 2nd can near to the top and bottom and unfold to produce a sheet of aluminium. Draw out on a piece of paper an inner diameter of 66mm and a outer diamter of 86mm. Cut out the ring and cellotape to the piece of aluminium sheet (Step 3). Cut out the aluminium ring and slide up the outer diameter of the can to look like the picture in Step 4. Fold over the edge and start crimping. Finish off with a pair of pliers. The result is the can shown in Step 5 weighing 6.8grams. Not the prettiest of items, and not a long term solution but ideal to demonstrate the use of EkoFuel bio-ethanol fire lighting gel to cook with. In step 6 we show the burner dropped into the base of a Trangia. This entry was posted in Camping on October 4, 2013 by Rob Smith. As you may be aware methylated spirit, the traditionally used fuel for alcohol camping stoves in the UK has been outlawed by European legislation as at July 2013. It was deemed unsafe because of its high methanol content, which was in the recipe as the denaturant to ensure the alcohol was unfit for human consumption. In place of methylated spirits sits a new European approved formula free from methanol. You will however continue to see methylated spirits in the shops for a few months until existing stocks are depleted. Here at Ekofuel, we have been working with denatured alcohol for a number of years for use on indoor bio-ethanol fireplaces. We are now probably the largest distributor of bio-ethanol fuel for fireplaces in the UK. As part of our continually expanding range of products, we decided to launch a bio-ethanol fuel for use on alcohol camping stoves. It will be available from sometime in October 2013. It will be available in 1L and 500ml bottles. For all those unsure what the bio part refers to, it refers to the fact that the fuel has been made from a fermentation route, rather than a chemically produced route i.e. from the fermentation and distillation grain, sugar beet etc. As part of development of the fuel I decided to test the fuel on the long established Trangia. The kit selected was the Trangia UL-27 seen below. A slightly different pot with a larger capacity was used in place of the Trangia pot. The internet abounds with information about home made alcohol stoves and whether water should be added to meths to reduce sooting. It seems a common conception that 10% water should be added to the meths to reduce sooting. What it not clear, is whether this is 10% by weight or 10% by volume as there is quite a large difference. For my money, fuels should not be watered down. Why? Well, from a scientific view point water has a very high specific heat, higher than metals. What this means is that not only are the fuels less powerful per gram, but the fuels also need to heat up and evaporate the water added to the fuel! This wastes precious energy which could be used to heat the food or water in the pan. Boil time: 1 litre of water from 21C to 100C (using data logger). The photo below shows the rig used (note larger pot capacity). The times quoted are from the very second that the Trangia was first lit. Approx 10-15 seconds was lost putting the pan and lid into position, this is included in the times quoted. This accurately recorded the temperature the water reached 100C rather than a rolling boil. 1) The amount of sooting on the pans – recorded via photographs. 2) Fuel consumption. Measured with electronic balance and data logger during burning trail. In testing the Trangia I found that the pans heavily sooted in high separation distance between burner and pan. This will be discussed below. In light of this, I tested an adaptation to the Trangia to improve the burning of the fuel, the results of which are also discussed below. 1) Boil Times: Using EkoFuel, the times taken to heat up 1 litre of water from 21C to 100C varied between 8 minutes 58 seconds and over 10 minutes. The difference was due to the changing separation distances between the burner and the underside of the pot. The faster time was achieved with the pot in the high setting (as in the set-up photo Figure 1) and the Trangia sat in its standard position. I also found that adding 12.5% by weight of water had a dramatic effect of the boil times. Boil time increased to 11 minutes 24 seconds. In order to test the lowest separation distance between burner and pan, I changed to a Trangia 1L pan with 700ml of water in it. The boil time for this low setting was 10 minutes 48 seconds. 2) Amount of Sooting*:- For me this is a key issue. What a user wants is relatively clean pans. At the start of the testing I ran the Trangia on meths purchased at our local hardware store. I ran it pure and I ran it with 10% by weight water. On both occasions the underside of the pans were heavy in soot, the 10% water mix slightly less sooty than the 100% meths. The results from using EkoFuel on the Trangia were no better. Figure 2 below shows the first result taken using pure EkoFuel when a boil time of 8 minutes 58 seconds was achieved in the high separation distance setting shown in Figure 1. Figure 3 shows the sooting with 12.5wt% water. Although slightly better than the pure EkoFuel, I would still class it as a lot of soot. Figure 4 below shows the underside of the pans when EkoFuel is burnt in the low pan/burner separation distance setting. It can be seen that the low separation distance setting creates less sooting, however it also dramatically increases the boil times as it slowed down the rate of fuel consumption. 3) Fuel Consumption: Fuel consumption to heat the 1 litre of water from 21C to 100C was around 25g for pure Ekofuel and for the water diluted fuel it was around to 27g both in the high separation setting. For the low separation setting, the fuel consumption was less, normalised out for 1 lt of water, it was around 21g suggesting that the low clearance setting is more slightly more efficient that the high clearance setting. 1) Boil Times:- Using the modified Trangia setup the best boil time was 7 minutes 42 seconds in the high clearance setting. An improvement over the standard Trangia of boil times. Water boiled in approx 14% less time than the standard Trangia arrangement. Again the fastest time was achieved in the high pot position. The low clearance setting was not investigated as reasonable results were achieved with the standard Trangia at this setting. 2) Amount of Sooting*: – Here’s where the big improvements were noticeable. Figure 5 below shows the underside of the pan used with the modified Trangia in the high clearance setting. Contrast this with Figure 2 and the improvement is obvious. The small amount of sooting in our opinion would be classed as acceptable. When 10% water was added, the improvements were even better see Figure 6 where the pans are clean. 3) Fuel Consumption: Pretty similar to those exhibited by the unmodified Trangia maybe slightly more efficient at around 22 to 23g, but I would need to conduct more research to prove this. 1) A litre of EkoFuel will heat approx 43-44 litres of water from 21C to 100C in a standard Trangia. I have not calculated the efficiency of this arrangement but will do so in due course and post the result. 2) EkoFuel bioethanol is suitable for use in alcohol stoves, it is a high powered alcohol fuel and can yield fast boil times. Whether the pans will soot or not, is a function of the alcohol burner design. The better the burner the less the sooting. 3) The low separation distance between pan and burner leads to cleaner pans, but a significant decrease in boil time as a result of reduced rate of fuel consumption. This low separation distance appeared to be more efficient that the high clearance setting. 4) Fast boil times are achieved by having a large separation distance using the standard Trangia setup. I have shown that EkoFuel can be burnt cleanly, what the industry needs now is alcohol burners capable of burning bio-ethanol cleanly. In light of the improvements I made to the standard Trangia, I am now trying to decide if we should embark on manufacturing an improved cleaner burning alcohol stove for bio-ethanol. If you like the idea, please follow us on Twitter and spread the word. If we get enough support and request over the next few months then we may well do so. In the meantime, if you have or know of an alcohol stove that you want us to test with bio-ethanol then feel free to send it to me at Ekofuel. I will test it and post the results for the world to see; I am looking for the cleanest burning stove. *Please remember that these results are under laboratory conditions with little or no breeze. Outdoor conditions may reduce the amount of sooting. This entry was posted in Demonstrations on September 30, 2013 by Rob Smith. Historically, alcohol has played a big part in powering camping stoves, for example the Trangia alcohol camping stoves were first sold in 1925. Powered by alcohol, their design has changed little in the last 90 years. Since then, various manufacturers have entered the market with their version of the simple alcohol stove. Sold throughout the world, alcohol stoves were a favourite of hikers and campers for years. With the advent of gas and the modern multi-fuel camping burners, alcohol stoves although popular, are not as popular as they once were. The higher calorific vales of gas coupled with the ease and cleanliness of its combustion and the higher calorific values of other liquid fuels meant that alcohol powered stoves have slipped down the desirability list. With the drive towards sustainable, environmentally friendly fuels there is a renewed interest in alcohol power, particularly bio-ethanol. The car industry is forced to include it in the petrol you buy and Brazil for example has cars running on bio-ethanol. Produced from fermentation of organic matter such as sugar cane, wheat or sugar beet, bio-ethanol production is on the increase. Here at EkoFuel we have been selling bio-ethanol for use on bio-ethanol fires for over 5 years. Currently we believe we are the largest individual supplier of bio-ethanol for fires in the UK. In late 2012, we took the decision to investigate other markets for our bio-ethanol fuels. Since then, we have developed a range of products including bio-ethanol liquid for alcohol camping stoves and a bio-ethanol gel fuel. Aimed as a replacement to methylated spirits (which is soon to be phased out in the UK), our bio-ethanol liquid for camping stoves is a high purity denatured bio-ethanol. In developing our fuels, I investigated a few of the current camping appliances using liquid and gelled ethanol. When evaluating various stoves my criteria were: efficient burning of the fuel, boil times and sooting of pans. I concluded that there was still room for improvement in both liquid fuel appliances and gelled alcohol fuelled camping appliances. With that in mind I set about developing improved camping stoves. The fuel I elected to develop the first appliance around is gelled ethanol. Although not as powerful as liquid bio-ethanol (lower calorific value due to inclusion of water in all ethanol gels to enable gelling), gel has certain advantages which can be exploited. Over the next couple of months I will post updates on the development of this burner, with the focus that it will be available to purchase from January 2014. We hope that it represents an improvement over existing gelled fuelled appliances, early signs look promising. Now I know there is a very keen and passionate camping stove self build community out there, which can be seen when one trawls both the internet and YouTube. So when one talks about boil times it throws up a whole host of questions, altitude, starting water temp, etc. For the moment, the development times I post will be under lab conditions, until I feel the unit is ready for field testing. Time to time we will post comparisons between existing gelled fuelled appliances and the unit we have under development. If you want to comment on our development, feel free to post your comments on our twitter page @EKOFUEL or email me at enquiries@ekofuel.org. I hope there are some more boil time gains to be made, but time will tell. I will keep you posted. Until next time. This entry was posted in Development on July 17, 2013 by Rob Smith.